St David is the patron saint of Wales, and St David’s Day falls on 1 March each year. The first day of March was chosen in remembrance of the death of Saint David. Tradition holds that he died on that day in 589. The date was declared a national day of celebration within Wales in the 18th century. St. David (Welsh: Dewi Sant) was born towards the end of the fifth century. He was a scion of the royal house of Ceredigion, and founded a Celtic monastic community at Glyn Rhosyn (The Vale of Roses) on the western headland of Pembrokeshire (Sir Benfro), at the spot where St David’s Cathedral stands today. David’s fame as a teacher and ascetic spread throughout the Celtic world. His foundation at Glyn Rhosin became an important Christian shrine, and the most important centre in Wales. The date of Dewi Sant’s death is recorded as 1 March, but the year is uncertain – possibly 588. As his tearful monks prepared for his death St David uttered these words: ‘Brothers be ye constant. The yoke which with single mind ye have taken, bear ye to the end; and whatsoever ye have seen with me and heard, keep and fulfil’. For centuries, 1 March has been a national festival. St David was recognised as a national patron saint at the height of Welsh resistance to the Normans. St David’s day was celebrated by Welsh throughout their migration, colonization, and settlement of the British Empire including the British colonization of America and British colonization of Africa, and the Colonization of Australia. Thus, from London, England, to Dublin, Ireland, to New York City, New York, to Sydney, Australia, to Durban, South Africa, ever since the establishment of the British Empire around the globe and the Welsh diaspora, Saint David’s Day has been celebrated. Indeed, the 17th century diarist Samuel Pepys noted how Welsh celebrations in London for St David’s day would spark parades in costumes and dragon, with pipes, drinks and confectioners producing ‘Taffies’ – gingerbread figures. St David’s Day is celebrated by Welsh societies throughout the world with dinners, parties, eisteddfodau (recitals Singing and concerts). Additionally, various Welsh Regiments of the British Army utilize aspects of Saint David’s cross, Saint David himself, or songs of Saint David in their formalities during the celebrations. 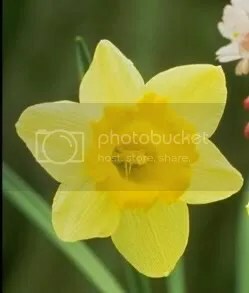 Many Welsh people wear one or both of the national emblems of Wales on their lapel to celebrate St. David: the daffodil (a generic Welsh symbol which is in season during March) or the leek (Saint David’s personal symbol) on this day. The leek arises from an occasion when a troop of Welsh were able to distinguish each other from a troop of English enemy dressed in similar fashion by wearing leeks. The association between leeks and daffodils is strengthened by the fact that they have similar names in Welsh, Cenhinen (leek) and Cenhinen Pedr (daffodil, literally “Peter’s leek”). Younger girls sometimes wear traditional Welsh costumes to school. This costume consists of a long woollen skirt, white blouse, woollen shawl and a Welsh hat. The flag of Saint David plays a central role in the celebrations and can be seen flying throughout Wales, Cawl is also frequently prepared and consumed on St. David’s Day. English singer, musician, songwriter and actor Roger Daltrey CBE was born this day 1st March in 1944. He is best known as the founder and lead singer of English rock band The Who. He has maintained a musical career as a solo artist and has also worked in the film industry, acting in a large number of films, theatre and television roles and also producing films. In 2008 he was ranked number 61 on Rolling Stone magazine’s list of the 100 greatest singers of all time. Roger Harry Daltrey was born in the Hammersmith area of London, but was brought up in Acton, the same working class suburban district that produced fellow Who members Pete Townshend and John Entwistle. Daltrey attended Victoria Primary School and then Acton County Grammar School for Boys along with Pete Townshend and John Entwistle. He showed academic promise in the English state school system, ranking at the top of his class on the eleven plus examination that led to his enrollment at the Acton County Grammar School. His parents hoped he would eventually continue on to study at university, but Daltrey turned out to be a self-described “school rebel” and developed a dedicated interest in the emerging rock and roll music scene instead. He made his first guitar from a block of wood, a cherry red Strat copy, and joined an existing skiffle band called the Detours in need of a lead singer. They told him he had to bring a guitar, and within a few weeks he showed up with it—and he could play it, too. When his father bought him an Epiphone guitar in 1959, he became the lead guitarist for the band and soon afterwards was expelled from school for smoking. He invited schoolmate John Entwistle to play bass in the band, and on the advice of Entwistle, invited Pete Townshend to play guitar. At that time, the band consisted of Daltrey on lead guitar, Pete Townshend on rhythm guitar, John Entwistle on bass, Doug Sandom on drums and Colin Dawson on lead vocals. After Colin Dawson left the band, Daltrey switched to vocals and played harmonica as well, while Townshend became the lead guitarist. In 1964 drummer Doug Sandom left the band, eventually being replaced by Keith Moon. With the band’s first hit single and record deal in early 1965, Townshend began writing original material and Daltrey’s dominance of the band began to decline. The other members of the Who expelled Daltrey from the band in late 1965 after he beat up drummer Keith Moon for supplying drugs to Townshend and Entwistle, causing him to re-examine his methods of dealing with people. A week later, Daltrey was admitted back to the band, but was told he’d be on probation. He promised there would be no more violent outbursts or assaults. Daltrey recalled, “I thought if I lost the band I was dead. If I didn’t stick with the Who, I would be a sheet metal worker for the rest of my life.” The band’s second single, “Anyway, Anyhow, Anywhere” was the only song on which Daltrey and Townshend collaborated, and Daltrey only wrote two other songs for the band during these years. As Townshend developed into one of rock’s most accomplished composers, Daltrey’s vocals became the vehicle through which Townshend’s visions were expressed, and he gained an equally vaunted reputation as a powerful vocalist and riveting frontman. The Who’s stage act was highly energetic, and Daltrey’s habit of swinging the microphone around by its cord on stage became his signature move. By 1973, Daltrey was experiencing considerable success with his solo projects, he went on to release eight solo albums. and also had great success with his acting roles, With each of the Who’s milestone achievements, Tommy, Who’s Next, and Quadrophenia, Daltrey became the face and voice of the band as they defined themselves as the ultimate rebels in a generation of change. When Ken Russell’s adaptation of Tommy appeared as a feature film in 1975, Daltrey played the lead role, was nominated for a Golden Globe Award for “Best Acting Debut in a Motion Picture” and appeared on the cover of Rolling Stone magazine on 10 April 1975. The Who continued performing after the death of Drummer Keith Moon in 1978, but tension continued as Daltrey felt new drummer Kenney Jones was the wrong choice for the Who. In 1980 Daltrey completed a major project for The Who Films, Ltd., a dramatic film called McVicar about British bank robber John McVicar. Daltrey produced and starred in the film, and completed a striking soundtrack with other members of the band. This success, along with other stresses, contributed to a deterioration of relations with Townshend, and the Who retired from active touring in 1982 when Townshend felt he was no longer able to write for the band. The band continued to work together sporadically, reuniting for the Live Aid concert and recording songs for Daltrey’s solo album Under a Raging Moon and Townshend’s solo album Iron Man. Daltrey turned to working as an actor, completing such high profile projects as The Beggar’s Opera and The Comedy of Errors for the BBC. He also appeared in Mike Batt’s The Hunting of the Snark (1987), The Little Match Girl (1987), Buddy’s Song (1990), which he also produced, and Mack the Knife (1990), and in In 1991 he received a Grammy Award. 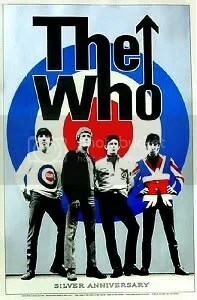 The Who returned in 1989 with their 25th Anniversary Tour, which was also the 20th anniversary of the rock opera Tommy. The tour featured a large backing band and guest appearances by Steve Winwood, Patti LaBelle, Phil Collins, Elton John, and Billy Idol. In 1994 Daltrey celebrated his 50th birthday by performing a two-night spectacular at Carnegie Hall titled A Celebration: The Music of Pete Townshend and The Who, and popularly called Daltrey Sings Townshend. The show also featured Pete Townshend, John Entwistle, Eddie Vedder, Sinéad O’Connor, Lou Reed, David Sanborn, Alice Cooper, Linda Perry, The Chieftains and others as special guests. The concert, at the time, was the fastest sell-out in the famed venue’s history. The event was followed by a major tour financed by Daltrey and including John Entwistle on bass, Zak Starkey on drums and Simon Townshend on guitar. Although the tour was considered an artistic success, it failed to make a profit due to the expense of providing extraordinary musicians and orchestras in every city to replicate the Carnegie Hall event. Significantly, the tour did attract attention to songs from The Who’s rock opera Quadrophenia and gathered support for a staging and major tour of the rock opera in 1996-1997. In 1996 Pete Townshend was approached to produce Quadrophenia for The Prince’s Trust concert at Hyde Park, London. He at first planned to perform the opera as a solo acoustic piece using parts of the film on the screens, but after receiving offers of financing decided on a full-out production. When he first contacted Daltrey to request a collaboration, Daltrey refused, but after some discussion, he agreed to help produce a one-off performance. The opera was performed with a large backing band, including John Entwistle on bass, Pete Townshend on acoustic guitar and vocals, Zak Starkey on drums, Rabbit Bundrick and Jon Carin on keyboards, Simon Townshend on guitar and special guests including David Gilmour, Adrian Edmondson, Trevor McDonald and Gary Glitter. A horn section and backing vocalists were added, along with other actors. On the night before the show, Daltrey was struck in the face by a microphone stand swung by Gary Glitter. The accident fractured his eye socket and caused considerable concern that he might not be able to perform safely, but Daltrey donned an eye-patch to cover the bruises and completed the show as scheduled. Afterward, Townshend decided to take the production on tour in 1996-1997 as The Who. In February 2010, Townshend and Daltrey, headlining as The Who, performed the halftime show at Super Bowl XLIV in front of 105.97 million viewers across the globe. In March 2010, Townshend and Daltrey, along with an extensive backing band, performed Quadrophenia at the Royal Albert Hall in London as a tenth anniversary charity benefit for the Teenage Cancer Trust. In 1976 Roger Daltrey was nominated for a Golden Globe Award for “Best Acting Debut in a Motion Picture” for his starring role in the film version of The Who’s rock opera Tommy. He also performed as a guest on the Chieftains’ recording of Irish Evening: Live at the Grand Opera House which won a Grammy Award for Best Traditional Folk Album in 1993. With The Who, Daltrey received a Grammy Lifetime Achievement Award in 2001 for outstanding artistic significance in music. In 1990 Daltrey was inducted into the Rock and Roll Hall of Fame in Cleveland, Ohio as a member of The Who. The Rock and Roll Hall of Fame also included three songs that Daltrey recorded with The Who on the list of 500 Songs that Shaped Rock and Roll, including: “My Generation”, “Go to the Mirror Boy”, and “Baba O’Riley”. In 2005 Daltrey received a British Academy of Songwriters, Composers and Authors Gold Badge Award for special and lasting contributions to the British entertainment industry. Roger Daltrey also supports many charities & In 2003, Daltrey was honoured by Time magazine as a European Hero for his work with the Teenage Cancer Trust and other charities. In the New Year’s Honours List published on 31 December 2004, he was appointed a Commander of the Order of the British Empire for services to Music, the Entertainment Industry, and Charity. He is also supporter of the Countryside Alliance and has played concerts to raise funds for the organisation. As a member of The Who, Daltrey was inducted in 2005 into the UK Music Hall of Fame. In December 2008, he and Pete Townshend were honoured with America’s most prestigious cultural awards as recipients of the 31st annual Kennedy Center Honors in Washington, D.C. by then-President of the United States, George W. Bush. On 4 March 2009, three days after his 65th birthday, Daltrey accepted the James Joyce Award from the Literary and Historical Society of University College Dublin for outstanding success in the music field. On 12 March 2011, he received the Steiger Award (Germany) for excellence in music. Daltrey and Pete Townshend received the Classic Album Award for Quadrophenia from The Classic Rock Roll of Honour Awards at The Roundhouse, 9 November 2011, in London, England. Thursday 1st March 2012 is World Book Day, this event celebrates authors, illustrators, books and is most importantly a celebration of reading. In fact, it’s the biggest celebration of its kind, designated by UNESCO as a worldwide celebration of books and reading, and marked in over 100 countries all over the world. The event should Not be confused with World Book Night which takes place on April 23rd 2012 This is the 15th year there’s been a World Book Day, and on 1st March children of all ages will come together to appreciate reading. Very loudly and very happily. The main aim of World Book Day in the UK and Ireland is to encourage children to explore the pleasures of books and reading by providing them with the opportunity to have a book of their own. That’s why we will be sending schools (including those nurseries and secondary schools that have specially registered to participate), packs of Book Tokens and age-ranged World Book Day Resource Packs (age-ranged into Nursery/Pre-School, Primary and Secondary) full of ideas and activities, display material and more information about how to get involved in World Book Day.